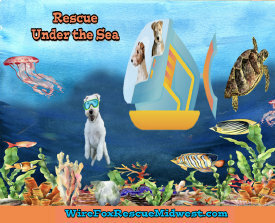 Wire Fox Terrier Rescue Midwest is an independent Rescue comprised entirely of volunteers who sacrifice a tremendous amount of time, trouble and tears for Rescue and receive no monetary compensation whatsoever. We share a compassion and love for the breed and in helping those in need. Wire Fox Terrier Rescue Midwest does not occupy a facility and each homeless Wire Fox Terrier is cared for in a foster home. They are loved, treated and cared for as a member of the family. Living with them allows us to evaluate for personality, any specific needs and behavioral traits. We inform the prospective applicant as much as possible about each Wire Fox Terrier prior to placement in order to find that perfect home for each dog and applicant. 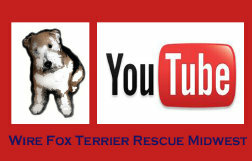 Wire Fox Terrier Rescue Midwest fully vets each dog prior to placement and gives them the highest degree of medical attention, procedures and treatments. Each Wire Fox Terrier will receive the best possible care during their stay in Rescue. 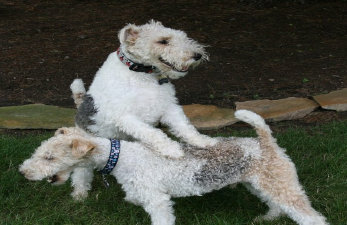 Wire Fox Terriers arrive at Wire Fox Terrier Rescue Midwest for a variety of reasons - owner death, divorce, moving, life changes, not getting along with another canine or feline member or simply not researching the breed before acquiring. Wire Fox Terrier Rescue Midwest rescues those who have been abandoned, picked up by animal control, located in or dropped off at shelters or which we have saved from puppy mills. We are committed to finding a permanent, loving home for every Wire Fox Terrier. Corporate matching gift programs are chairtable giving programs which the company matches donations made by employees to eligible nonprofit organizations, like us. Some companies even match gifts made by retirees and spouses. By simply completing a matching gift form from your company, you may be able to double or even triple the impact of your donation to WFTRM. Mail the completed form to us and we will send it back to your employer. Employers may also offer volunteer matching programs that match volunteer hours with corporate donations. As a federal employee, you can give to WFTRM through the Combined Federal Campaign (CFC). This program runs from September to December every year and you can make a one time donation of any amount. Whether selling your items and donating a portion of your sale to go to WFTRM or buying from Ebay Supporters . . . it all adds up and helps our homeless terriers. 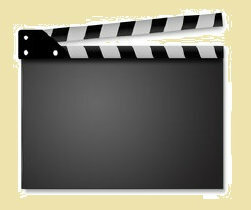 CLICK THE BOX AT LEFT TO LEARN HOW & GET STARTED. 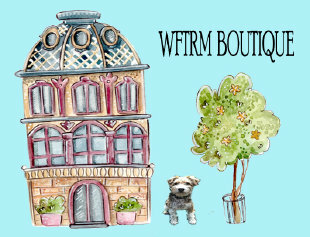 is now for Sale on the WFTRM Boutique. A wonderful way to support our Special Needs Fund and also makes a fabulous Gift.